Acquiring your first customers is more art than science. You don’t have spreadsheets full of data to pull from, you don’t have existing segments, and you’re not even sure who specifically will buy your product. You’re just testing out different methods to “see what sticks” and what you should double down on. The tactics you should be using to get your first 100 customers are a mix of both marketing and customer development. With each tactic, you should aim to not only get a new customer, but also find ways to dig deeper into who they are and what they’re interested in. You need to really know who these people are that are buying from you more than anything else, and then use that information to increase your ROI. Most entrepreneurs reflexively turn to paid advertising when trying to get their first customers. But in reality, there are a variety of ways you can get initial traction, including leveraging other people’s audiences, using online communities, targeting the right social networks, and more. 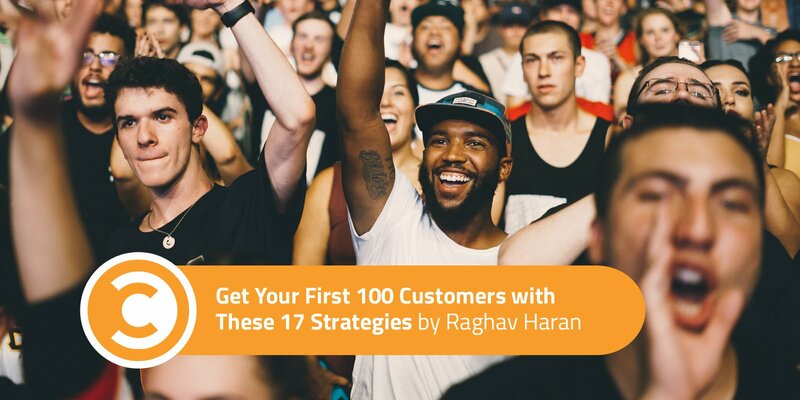 Here’s a comprehensive list of tactics you can use to get your first 100 customers. A quick way to do some customer development is to reach out to your existing network and ask them specific questions about your product and market. If you’re creating a product for a specific niche, then chances are you know people who are in that niche already. You’d be surprised how many people are willing to help. One of the biggest reasons new businesses fail is that founders don’t talk to customers. It’s easy to believe that you already know everything about your target market and convince yourself that they definitely need your product. But the best marketers are humble enough to talk to their market and validate their hypotheses, even if they know they’re correct. For example, Hiten Shah did many hours of customer interviews for a project he was working on around helping startups raise money. As a prominent entrepreneur in Silicon Valley who has raised money from some of the biggest venture capitalists, he’s already talked to hundreds of people who have asked him for advice on the topic—but he still did customer interviews. Though you don’t want to sell anything during your interviews, you can ask the people you talk to whether they would like to be added to a private email list where you send out updates every now and then on the progress of your venture. Down the road, they could turn into your first customers. Additionally, take one step outside of your network, and step into the individual networks of your prospects. Make sure to ask the people you reach out to for introductions to others who might have an interest in what you are offering. Even if someone might not be a good fit for your product, there’s a good chance they will have a colleague who is. A good way to find potential customers who are experiencing the pain you want to solve is by searching online complaints. Social networks like Twitter are an easy way to do this. You could reach out to those users directly, and ask them to chat more about why they think Salesforce is complicated so that you understand how to make your product better. Other online forums can be good for this as well. If you search “Salesforce is too complicated” in Google, you’ll find a lot of forums and blog posts on which users discuss why it’s hard to use. You’ll get a better sense of the problems that your product will need to solve and the features that will have to come with it. You’ll have a clearer understanding of the words that your market is using to describe their problems, so you can write perfect high-converting sales copy when the the time comes. When you do searches like these, you also can either confirm or disprove your hypothesis. For example, if people aren’t searching for solutions to Salesforce problems, or you’re seeing a small amount of search results in Twitter or Google, then there might not be a big enough pain point to solve. Once you get on the phone to chat with these potential customers, be sure to ask them whether it would be okay for you to stay in touch and send updates every now and then on your future product. This way, you can both do your market research and build a list of potential beta customers. Another customer development tool at everyone’s disposal is Quora. 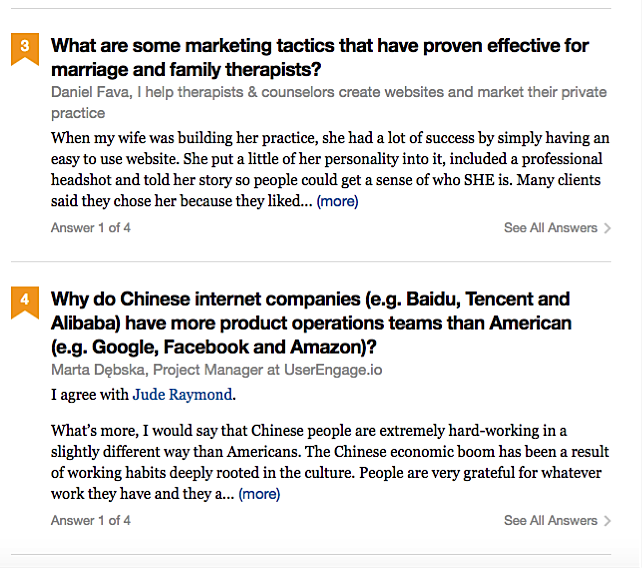 Quora is a site where you can browse and post questions on a virtually any topic. It can be a great way to gather a large number of answers from people in your target demographic about the product you’re trying to sell. Quora’s demographics consist mostly of college educated professionals. Because Quora got its first users through tech news sites like TechCrunch, many of its users work in technology. Some of the most followed topics include investing, computer programming, mobile, and software engineering. You can post questions about the pain points you’re trying to solve in some of these areas and see what answers you get. For example, check out this question where a Quora user asks, “What are some significant pain points in the real estate market that could be solved with software?” There are over 10 in-depth answers to the question by real estate professionals and others with experience in the market. If you were trying to create a product to solve pain points around Hadoop, an answer like this would be invaluable. You can find similar, in-depth answers across topics like personal finance, CRM systems, sales, marketing, and more. You can measure how much an answer resonates with people by the number of comments and upvotes it receives. For example, the answer to the Hadoop question above received over 100 upvotes and a few positive comments. That shows that other Hadoop users are likely facing the same problems. If you find an insightful answer to a relevant question in your industry, you can message that user and ask to set up a phone call in order to uncover more details about their problems, then add them to your beta list. Most marketers know that tools like Qualaroo and SurveyMonkey can help you understand your audience better. But did you know that they can also help you generate more leads and customers? If you already know what your ideal customer profile looks like, then all you need to generate more leads is to create a survey that qualifies your prospects. For example, GoodBlogs used Qualaroo to boost registrations by 300 percent for one of their clients. GoodBlogs helps businesses create user-generated content. One of their clients is the largest livestock trailer manufacturer in North America, and they launched a site for horse lovers through GoodBlogs. 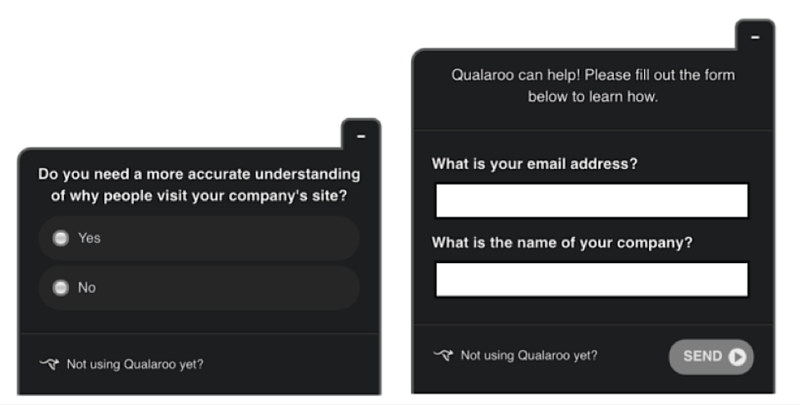 When visitors landed on their site, they were shown a Qualaroo pop-up that said, “Do you own a horse?” If they answered “yes,” they were asked to input their email address to receive special offers. For this process to work effectively, all you need is just one leading question that qualifies your prospects. It could be as simple as asking them, “Do you need [X solution] to [Y pain point]?” If they answer “yes,” immediately ask them for details like their name, email, and/or company name, and treat them like a lead. You’ll only have to set this up once. From there, you’ll have a steady stream of qualified leads coming in from your site directly. One of the best ways to guarantee sales when you launch your product is to launch through an email list. There are many ways to build an email list from scratch. For instance, you could reach out to people one-on-one through social networks like Quora or Twitter to do your customer development and then add them to your launch e-mail list. We’ll get into some other tactics you can use to build your email list below. For now, let’s dig into how to craft your launch sequence to get as many sales as possible. Educate your audience. Nathan’s first two emails were long-form, educational emails that are designed to build up authority among the audience and show them why they should listen to you. You can talk about your background, how you started what you’re doing now, and so on. You can also use these emails to build curiosity and get people excited to read the rest of your emails in the series. Describe your product. Once you build authority on your subject and build intrigue at the beginning of your funnel, you should start describing your product. The purpose of this email is to tell readers about your product and the hopes and dreams that it’ll help them accomplish, as well as the fears that it’ll help alleviate. The launch. Next, it’s time to actually launch the product. Keep this brief and to the point, telling your readers that you’ve opened your product to the public. The final educational email. After you open your product to the public, you want to reinforce confidence in the product and end it with a strong call to action to buy. You want to show your audience that your product will help them do something or achieve something that isn’t possible with their existing products. One way to do this is by documenting case studies and testimonials. The hard sell. The final email should be a hard sell that persuades readers to buy, and have elements of urgency baked into it. For example, maybe you limit registration to only 10 beta users or close registration at a specific time. This outline covers all the basic elements of a profitable launch sequence—building anticipation, adding value through educational material, and providing a sales message asking readers to buy your product. You’re probably aware of sites like Product Hunt or Reddit that feature products or posts that get a lot of upvotes from the community. But there are also sites like Betalist, where you can pay to be featured in front of a large technology audience. Many startups have used sites like Betalist to rapidly generate a list of early bird signups. Take FrontApp, for example, a product that helps teams work more efficiently. They used Betalist to generate 400 high-quality signups in just a couple of days. FrontApp wanted to get beta users for their product, so they decided to go directly to the source and test out some “beta user” communities. Sites like Erlibird and Startupli.st help startups get their first signups by featuring them in front of a targeted group of users, so FrontApp submitted their product to these sites. FrontApp got the best results from Betalist: They paid $49 to get their product featured on the front page and received about 400 signups (from a total of 832 direct visits). And because many Betalist users are early adopters in the startup world, several of them wrote articles about FrontApp after seeing it featured on Betalist, which resulted in even more inbound links. These sites typically work best for a consumer product audience. But if your product resonates with the community, you could get hundreds of qualified signups in a matter of days. One of the quickest ways to build an audience of your own is to find other brands that have an audience similar to what you’re trying to build and bring them over to your own platform. Trust is a big factor when persuading people to buy, and if you leverage someone else’s platform to build your own audience, you’ll be able to “borrow” the trust they’ve built with that audience as well. Pipedrive is a sales management tool that helps sales teams close more deals. They applied to incubators. Pipedrive was initially growing at a rate of about 10 to 20 percent per month by the fourth month. They skyrocketed their growth by applying to startup incubators and accelerators like AngelPad, YCombinator, and Seedcamp. In this way, they were able to meet people who ran those organizations and get invited to events, which helped them interact with many other entrepreneurs. Eventually, Pipedrive got accepted into AngelPad, where they were able to pitch and talk to a lot of people over a span of three months. One of the biggest benefits of getting accepted to a well-known incubator is the credibility that comes along with it. Not only do investors take you more seriously, but you also get access to hundreds of other entrepreneurs through the incubator network—and many of them could turn into paying customers. They ran affiliate deals. Pipedrive knew that their audience consisted of price sensitive marketers and entrepreneurs, so they decided to promote a discounted deal on AppSumo, a company that promotes other tech-related products to a massive audience. AppSumo has promoted quite a few tech products in the past, including KISSinsights, Shopify, and ToutApp. It takes a lot of work to build credibility and trust with an audience, so one of the most efficient ways to get sales is by leveraging other people’s audiences and borrow their credibility. You can do this by going to conferences and industry meetups like Pipedrive did or leveraging existing online communities (which we’ll talk more about later in this article). Another great way to level up on this method is to find an influencer who has a problem that your product or service can fix and then fix it for them. Not only will you be able to leverage their platform in the future, but you will have gained a priceless early-adopter to spread the word about your business, furthering your credibility within your niche. At its core, guest posting is another way of leveraging other people’s audiences to build your own. It’s a tried and true approach that has worked for many businesses. For instance, Buffer, a social media automation tool, used a guest blogging strategy to get over 100,000 customers within nine months. Be patient. According to Leo Widrich, the co-founder of Buffer, he wrote around 150 guest posts over a span of nine months. His early posts barely drove any traffic back to his site, and it took a bit of time until they started to get traction. Measure the right metrics. When asked about the amount of traffic his guest blog posts were generating, Widrich said that he focused more on signups than traffic, since that was the metric that was closer to the bottom line. It’s easy to get caught up in measuring things like page views, likes, and shares, but the real ROI of content is determined by the number of paying customers it helps you generate over time. Post on the right sites. When you’re guest posting, it’s important to find websites that cater to your target audience and post on those sites. 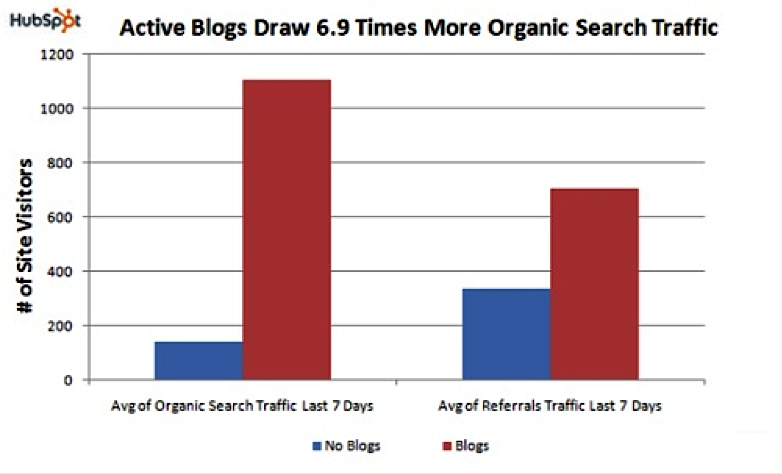 The sites where Buffer found guest blogging opportunities were BloggerLinkUp and MyBlogGuest. You can also use websites Medium or Quora, where you can publish your content directly instead of pitching someone. I wanted to ask if you are interested in a guest post that I have drafted, which I titled “10 Tools to Make the Most of Twitter.” It covers the latest Twitter Tools, which help me a lot to stay productive. I hope you can let me know if you think the post could be interesting to you. The first line is a personalized note to thank the editor for a recently published article. Next, instead of sending the entire guest post to the editor immediately (and overwhelming them), you should ask them whether they’d be interested in reviewing a draft. The last line helps the editor get a sense of what your writing style is like to see if it would be a good fit for the publication. Don’t overwhelm yourself. One of the biggest mistakes that new bloggers make is agreeing to huge blogging commitments immediately. For example, you might decide that you want to post one to two times per day, but that’s a bad idea if you’re just starting out. According to Widrich, he set the goal of writing one post per week to start off. Then he upped it to two per week, then he wrote three per week, and so on. Eventually, he was able to write two to three posts per day, but this takes a while to work up to. Notice the other benefits of guest blogging. The benefits of blogging aren’t just limited to traffic or lead generation. If you’re providing other businesses with writing, then you’re actually doing them a favor—and that helps build relationships. For example, Widrich was able to build relationships with sites like Treehouse, Social Media Examiner, and SocialMouths over time by providing them with free content. When you develop relationships with people at major platforms like this, it might turn into other opportunities down the line: You could potentially do an affiliate deal with their audience, a joint venture partnership, or something else that’s mutually beneficial and profitable. Remember that one of the ways to generate your first paying customers is by leveraging other people’s platforms; popular blogs in your niche that already have traction are great examples of audiences this. Once you develop a relationship with the blog owner or editor, ask them to promote your content to their email list or if you can run webinars for their audience with an opt-in link, etc. If you make content marketing a priority, it can be incredibly profitable for your business. Buffer grew almost entirely through content marketing, as did KISSmetrics, HubSpot, and other similar companies. Search engine traffic can also be a good, reliable source of paying customers. The problem is that, for many industries, it’s becoming harder and harder to rank high for competitive search terms because there’s growing competition. If you’re targeting marketers or entrepreneurs, you’ll be facing tough competition for search terms in your niche. In fact, influencers like Neil Patel, Noah Kagan, and companies like HubSpot and KISSmetrics already own the top spots for many relevant keywords in the industry. So how can you still generate traffic and leads through search despite all these competitors? One way to do this is by focusing on long-tail keywords. Instead of trying to rank for “SEO tools,” try to rank for something more specific like “the best SEO tools for B2B startups.” If you consistently publish high-quality, long-tail content over time, you’ll generate a significant amount of traffic. A simple way to generate long-tail content ideas is by looking at the most viewed questions on Quora for your specific niche. Let’s say you’re selling a product in the marketing niche. You could start by going on Quora and typing “marketing” into the search box. Next, click on the topic “Marketing” and then select the “Topic FAQ” tab. This gives you a bit of insight into what potential customers are looking for. You might want to create content on how entrepreneurs in specific niches (e.g. family therapy, medicine, law, etc.) can optimize their marketing, or write content on how major companies structure their marketing efforts. 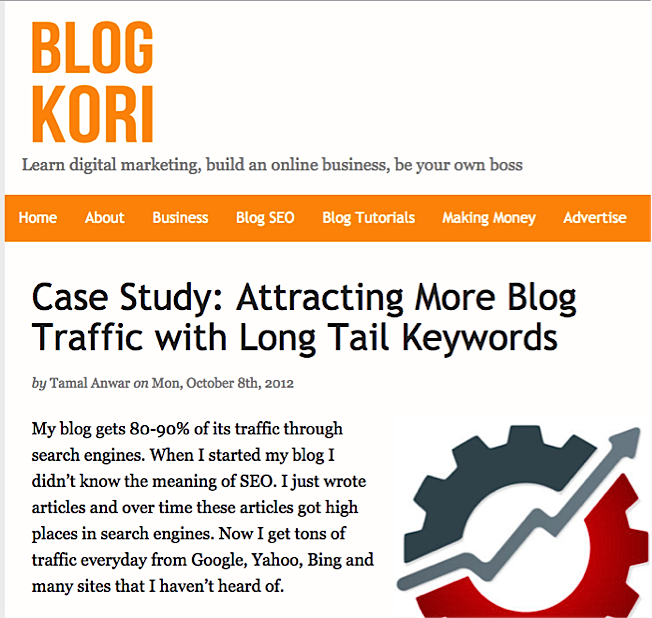 Long-tail keywords can help you generate a large amount of monthly traffic that can convert to leads. For example, Tamal Anwar boosted his search rankings and traffic by writing content around longer variations of existing keywords. One of the most straightforward ways to get your first customers is through cold email. It’s relatively easy to find the email addresses of your prospects, and it’s easy to reach out to a high volume of people relatively quickly. 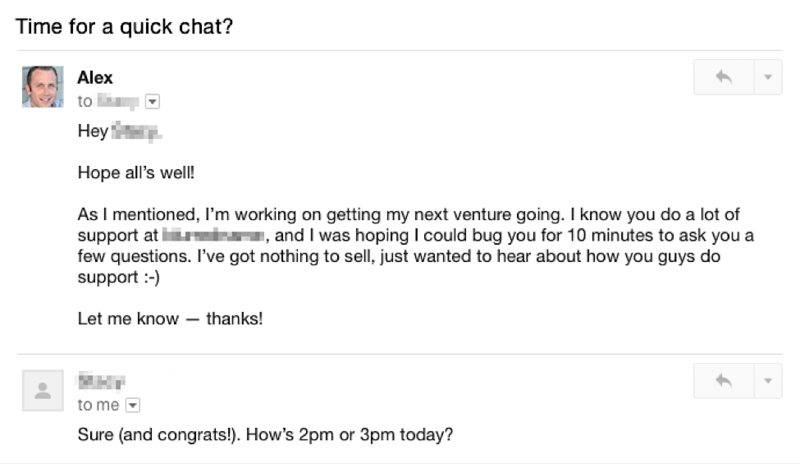 Here’s an example of a cold email template that got one B2B company over 16 new customers. Enticing subject line. The subject line for this email was “10x [prospect company’s] traction in 10 minutes.” This is a pretty appealing subject line because it shows the type of results the prospect can expect and how much time it will take to get those results. It builds curiosity and intrigue. Enticing offer. Notice how this e-mail immediately describes the offer in the first line: “I have an idea that I can explain in 10 minutes that can get [company] its next 100 best customers.” It tells the prospect that the phone call will only take 10 minutes out of their busy day and gives an exciting offer (helping the company get its next 100 best customers). Social proof. Social proof is a strong form of credibility. Since you have limited time and space to capture your prospect’s attention through a cold email, you can use social proof to help boost your response rates. In this example, social proof was conveyed through the line, “I recently used this idea to help our client [SaaS company / competitor] almost triple their monthly run rate.” People want to know that you can help them with their specific situation, so if you’ve helped their competitor or some other company in their space, they’re more likely to believe that you can also help them. Strong call to action. 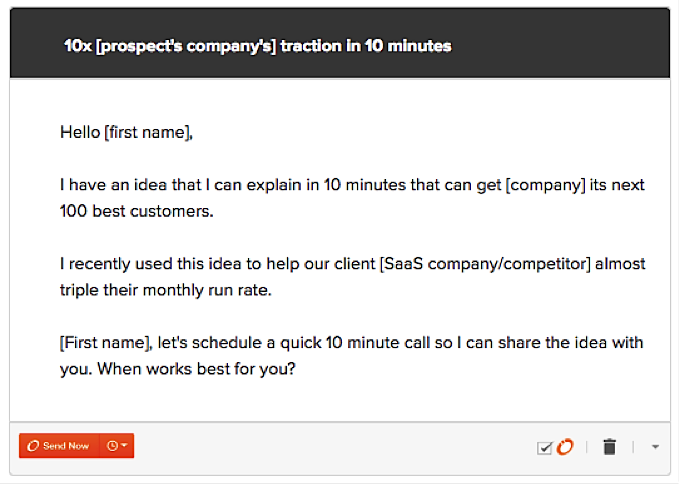 The email closes with a CTA to schedule a quick call to share the idea. Here, the prospect is reassured that the call will only take 10 minutes—and the marketer tells them exactly what to expect on that call (sharing an idea). According to the article, you should be getting a 10 percent response rate through your cold emails. If you’re below that number, chances are your emails need some improvement. Once you know how to craft your cold email, you have to find a list of prospects and their email addresses. If you’re familiar with your niche, it’s usually not too difficult to find a list of prospects. For example, if you’re in the tech space, you can use sites like AngelList and Crunchbase to find a list of companies and filter them by criteria like number of employees, location, and more. The problem typically lies in finding their actual email addresses. Fortunately, there are a lot of tools available to help you do this. Email Hunter, for example, lets you find email addresses by company domain. You just have to input the company’s domain name, and all publicly available email addresses associated with it will be shown below. Email Hunter lets you search 150 domains for free every month and has plans that start at $49/month if you want to search more. Another tool called EmailBreaker provides you with the email formats for a variety of companies. Not all domain names will have their email formats listed, and some email formats might be incorrect, but EmailBreaker is able to correctly identify email formats for most domains. Most new entrepreneurs turn to paid advertising as their main source for getting their first customers. However, there’s a lot of conflicting information out there about using paid ads as your first channel of acquiring customers. Some people like Kristian Tanninen say that paid advertising should only be used by companies that have existing products on the market. Other entrepreneurs believe that paid ads should only be used to scale a sales process that has already been proven through other lead gen sources. But other marketers say that paid traffic is the fastest way to drive leads when you’re first starting out. Google AdWords. Google AdWords lets you target prospects when they’re in the “decision” stage of the buyer’s journey. According to Pardot, 72 percent of buyers turn to Google to learn more about their pain points, so you can present your product to them exactly when they’re aware of their problem and have the desire to fix it. You can bid for targeted keywords in your space to get your first customers. If you’re selling content marketing services, you might run targeted ads to specific niches with keywords like “content marketing for healthcare technology companies” or “content marketing for FinTech companies.” This way, you’re likely to get a higher click-through rate at a lower cost. Facebook advertising. The biggest benefit of advertising on Facebook is how specific you can get with your advertisements. You can target by interests, locations, and even behaviors (i.e., moving to a new location, buying a house, etc.). 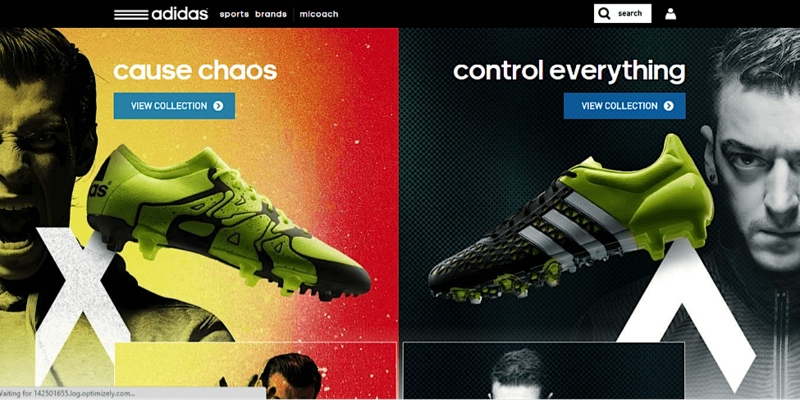 Adidas ran a soccer-related Facebook advertising campaign specifically targeting users who were interested in soccer. According to the case study, their Facebook page reached over one million people and boosted brand awareness between eight percent and 21 percent. LinkedIn messages are an alternative to cold email that can yield a higher conversion rate for your business. There are a few inherent problems that can make your cold emails convert at a low rate, but a big part of it is how impersonal the medium is. Although it can be done, it’s harder to communicate your credibility, your offer, what your company does, and still sound human. If you reach out to people on LinkedIn, your message could have a more “human” touch because of the fact that they can see your full profile. LinkedIn Inmails: Inmails are private messages that you can send to anyone on LinkedIn who is not your connection, but you’re only given a certain amount every month. After you exhaust that amount, you have the option to purchase Inmails individually, typically around $10 each. Inmails are different from regular messages that you can send to your connections on LinkedIn—regular messages are free, but Inmails can be quite expensive. You could use these to pitch to high value, potential early-adopters that are not inside your network, but they most likely will have other social media accounts that you easily reach them on. Sponsored Inmails: Sponsored Inmails are different from regular Inmails in that they let you send out your message to thousands of professionals at a time, whereas regular Inmails can only be targeted individually. LinkedIn actually recommends this feature for lead generation specifically, and recommends promoting webinars, ebooks, etc. to boost conversion rates. 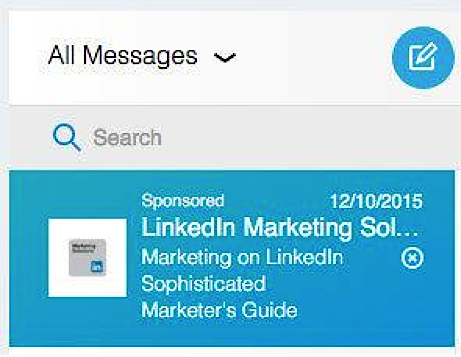 For example, check out how LinkedIn used sponsored Inmails to promote their marketer’s guide. Duke University also used sponsored Inmails to boost their conversion rates. According to this case study, they weren’t able to communicate the value proposition of their Cross Continent MBA program (a program that lets professionals across the world get their MBA without leaving their jobs). They used sponsored Inmail to target prospects by their seniority level, education, and location. 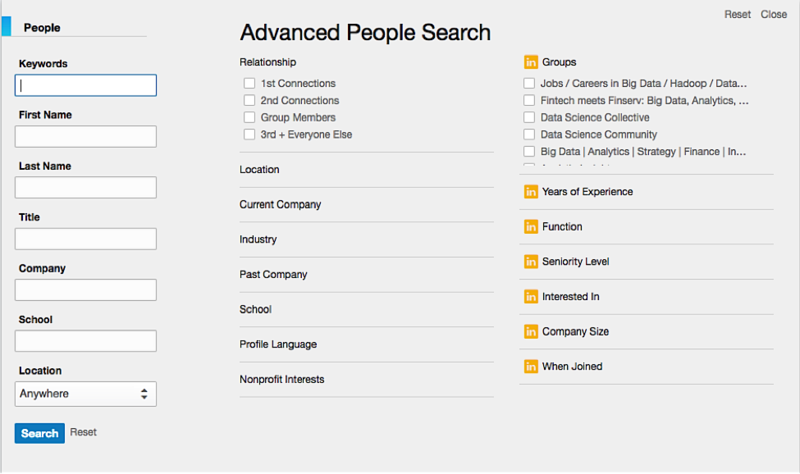 They used LinkedIn’s targeting capabilities to only target professionals who would likely be qualified for the program. Duke was able to tell prospects about their Cross Continent MBA program and have a call to action that encouraged readers to sign up for more information with their email address. They saw a conversion rate increase of 400 percent in certain geographic regions. As an added bonus, their cost per lead was 10 percent lower than on other marketing channels. They also were able to reduce their closure speed from 18 months to just six months, a 300 percent boost. LinkedIn Messages: Another approach to lead generation you can take is messaging your connections directly, which is completely free. You can use LinkedIn’s advanced search feature to find a list of targeted prospects, connect with all of them, and then message the ones who accept your connection request. Adding prospects as connections is one way of “warming them up” before reaching out with your pitch, and could boost your response rates. While you’re likely to get more quality leads from LinkedIn, their cost per lead is also relatively high compared to other social networks like Facebook. While you might not have a lot of money when you’re first starting to get customers, you do have one big advantage over more established companies: You have more time. And that means you can give your subscribers more one-on-one attention than a big company can. The best way to develop a long-term relationship with a subscriber and build a deeper level of trust is by interacting with them on a more personal basis. According to Forbes, recipients of one-on-one interactions are more likely to share their positive experience on social media and stay loyal to your company over the long term. In fact, Gary Vaynerchuk took this exact approach to building his audience over a span of many years. For example, he once asked his followers whether they needed anything, and one fan named Daniel replied that he needed eggs. 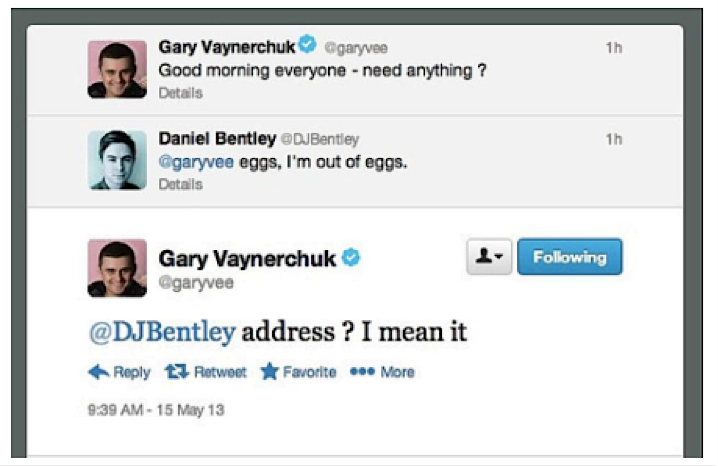 Most entrepreneurs wouldn’t have have continued the conversation, but Gary went on to ask for the Daniel’s address. An hour after sharing his address, Daniel received several cartons of eggs at his apartment. Daniel went on to write about his experience on Medium, and became a fan for life. While you don’t have to go out of your way to send your subscribers groceries, you should ask them to respond to your emails, and try to respond to as many as you can. Keeping that communication channel open is important in discovering what your subscribers really want you to provide. Most of them, by default, assume that you are too busy to read what they have to say. Make them feel special. Show them that you have their best interests in mind. Online communities can be a great way to get your first customers. Online communities are essentially scalable versions of industry conferences—you’re able to interact with like-minded people, offer something of value to them, stay in touch, and potentially get some new paying customers. When you go to a conference, you don’t want to go in and hard sell everyone you meet on the first interaction. If you do that, chances are you’ll turn off everyone you talk to and close the door for a mutually beneficial relationship. A better approach is to get to know them, understand their problems, and follow up later. Hacker News: Hacker News is one of the biggest news sites in the tech industry. The target audience is web developers and software engineers. Posts on the site talk about the latest developments in the tech world, and products and blog posts that get on the front page tend to generate significant traction. Hacker News gets over 1.6 million page views and 100,000 unique visitors a day. If you link up a popular post that gets traction within the community, you could land on the front page and get tens of thousands of visitors to your site. Product Hunt: Product Hunt is a forum for discovering cool tech products from around the world. Its initial users included venture capitalists and startup founders from the Bay Area. They also have in-person meetups with hundreds of attendees. Many tech companies have used Product Hunt as a launching pad. Tropical MBA: TropicalMBA is a targeted group of location-independent entrepreneurs (many of whom sell SaaS products or services). Members pay a quarterly subscription fee to be part of the group, where they help each other out with challenges that come with growing a business. By paying to be part of a group, you can increase your chances of getting higher quality customers. Facebook groups: You can also join and add value to Facebook groups within your niche. Some groups are more valuable and targeted than others—typically, Facebook groups that are started and nurtured by influencers in an industry tend to have pretty high-quality discussions. 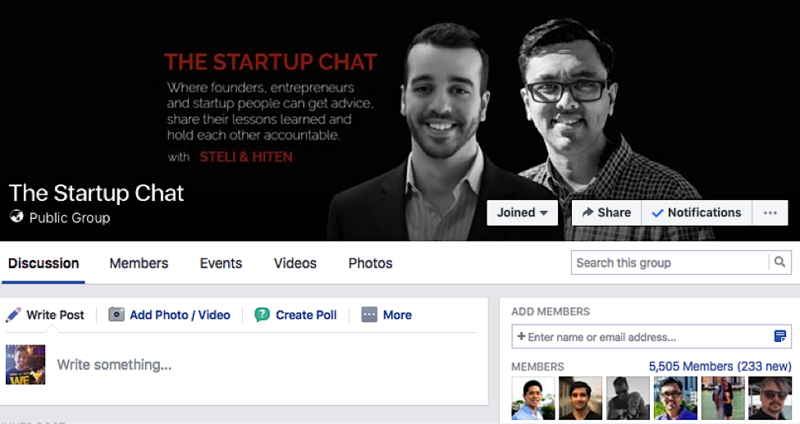 The Startup Chat’s Facebook group is a great place to interact with entrepreneurs and marketers that listen to The Startup Chat podcast. The best way to add value to an online community is by first getting a feel for the kind of topics that resonate within that community. What kind of posts are getting the most engagement? What’s getting the most upvotes or likes? 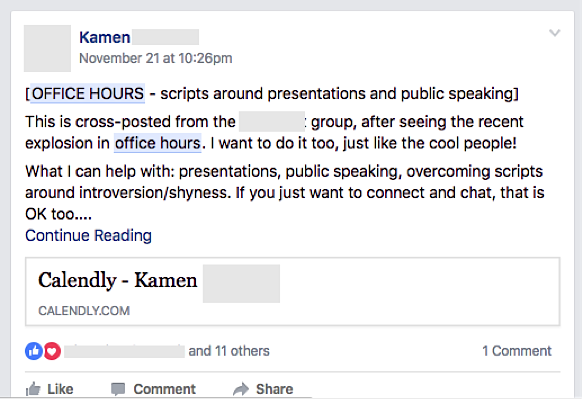 One easy way to add value to virtually any group while also building a list of potential customers is by offering free “office hours” to help people solve the pain point that your product solves. For example, if you have a SaaS product that helps people improve their sales process, you might post about a “Sales Process Q&A session” where you let others in the group schedule a time on your calendar to chat about improving their sales process. This way, you can get a better understanding of your market and their pain points on the call, and also ask them in a non-pushy way whether they’d like to be part of a beta user list. If you offer to give your time to help members of the group, you’ll both build a deeper relationship with members of the group (which could result in more paying customers) and develop your credibility within the group. This ties in with using Betalist. When moving out of the beta stage, offering a free trial or a free option for your service is a great way to get more customers. These two pricing methods have become standard for a good reason: Users won’t really know if a product is right for them until they give it a test drive. If your product is something that you believe would not work well in this pricing structure, make your introductory cost low enough so customers will feel comfortable making the initial investment, yet high enough so that they don’t question the quality of what you are offering. Although it might be difficult to leverage the more popular sites early on, getting social proof is a goal that you should always be working towards. If guest posting and platform leveraging is a way to put your face in front of your audience, social proof validates that your face is a trustworthy one. Find influencers who would love your product and have them market it in their own way. Find press in your niche to generate buzz for future launches. Create buzz on your own via social media. And, of course, you can do a combination of all three, in addition to other methods on this list. A company that has done this very well is Stash Invest. Stash Invest has an app (called Stash) that helps its users start investing with only five dollars. Leveraging the audience (via emails and on-site ads) of the popular financial management site Mint, Stash offers its audience five dollars to invest just for downloading the app. They basically give users money! By virtually eliminating the barrier to entry and working with already trusted brands, Stash went from 50 thousand to 500 thousand Stashers in just one year. I put this one at the end of the list because although it is not a requirement, it’s become quite commonplace for businesses to have a blog section on their site. But having a blog means nothing if you don’t deliver great, consistent content that your target audience actually needs. You might be asking yourself: If you’re already driving leads through guest posting and leveraging other platforms, why blog again on your site? Think of your main blog as a hub for all the valuable content that you have already spread across online communities in your niche—the spokes. All you have to do is repurpose the content from your website to fit the style of your brand. If, in the future, you’d like to do more than just provide a service—if you want to become a trusted influencer within your industry—starting a blog now is a good step in that direction. Keep in mind that the strategies that will take you from zero to 100 customers aren’t the same strategies that will take you from 100 to 1,000 customers. At the beginning, you might be putting in a lot of your own time sending out cold emails, LinkedIn messages, or crafting paid advertising campaigns. You might be interacting with your subscribers one-on-one, asking questions and responding to every email. You might be going on sites like Quora to source long-tail keywords and writing content around that to generate traffic from search. There are a variety of different ways to acquire your first 100 customers. And they’ll all typically involve some form of doing things that don’t scale. What tactics have helped you generate the most customers? Let us know in the comments! Raghav Haran is a content writer and marketer who helps B2B companies generate more leads. He is currently working as a content marketer for online marketing agency SingleGrain.